If there is ever some reason that you don't want your vehicle to be identified, it seems like there is at least a way to do so. 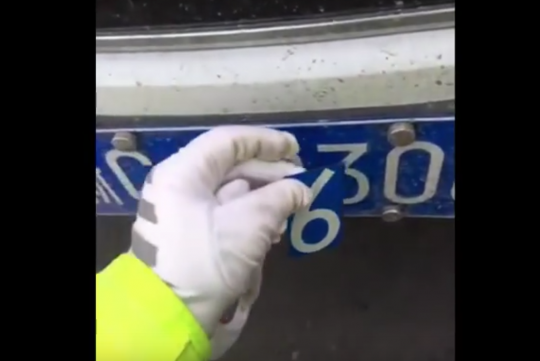 This simple and clever way is apparently being used in China and the video below shows how it is being done. Unfortunately for the owner of this trick number plate, the police has caught him/her. We're not sure what system they use (possibly some sort of a magnet) but it looks efficient, quick and most of all very hard to identify.